It's hot, but that should NOT stop you from baking some cool cupcakes. Pina Colada and Pink Lemonade are great for summer. Nicely Made Cupcakes made these yummy summer cupcakes. 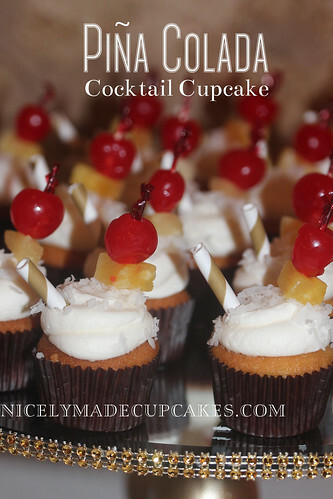 PINA COLADA COCKTAIL CUPCAKE- Coconut and rum infused cake, pineapple filling, coconut-rum cream cheese frosting garnished with toasted coconut. 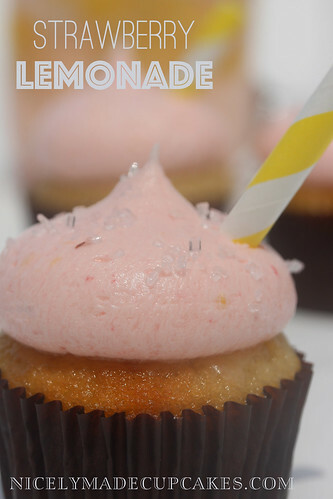 STRAWBERRY LEMONADE CUPCAKE - Lemon cake, homemade fresh strawberry puree center, strawberry and lemon zest buttercream frosting.